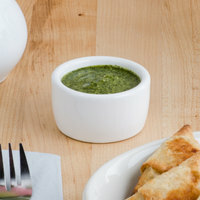 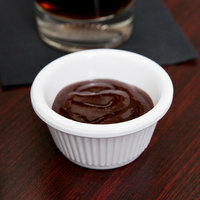 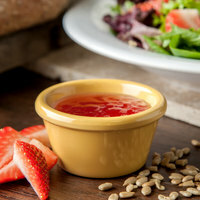 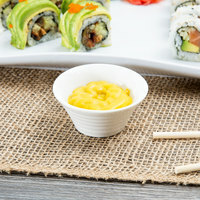 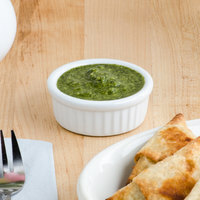 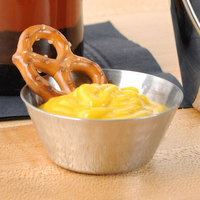 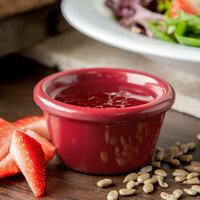 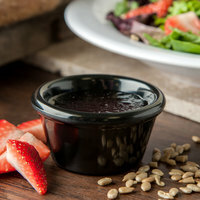 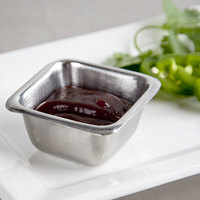 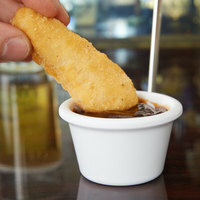 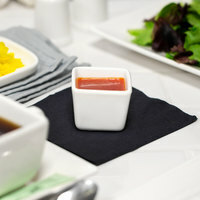 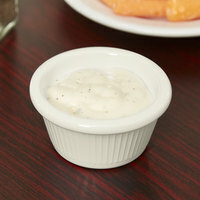 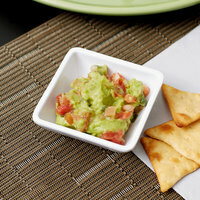 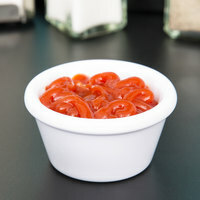 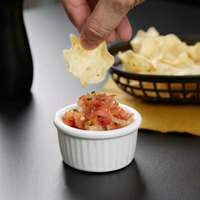 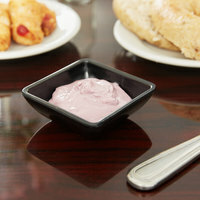 Serve sauces, sides, and dips in our mini ramekins! 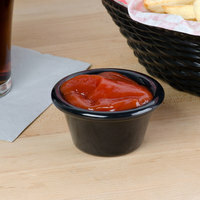 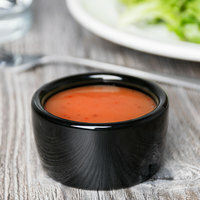 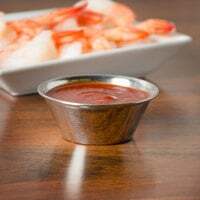 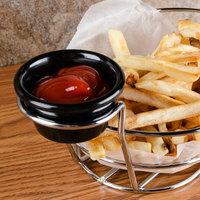 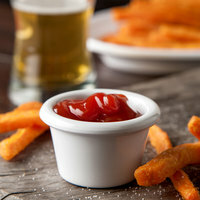 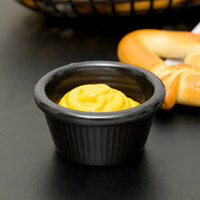 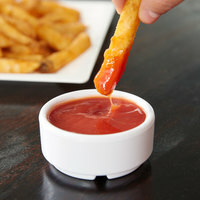 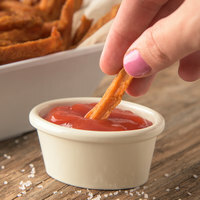 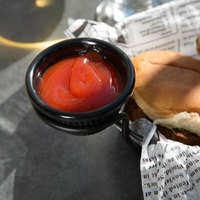 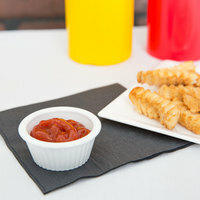 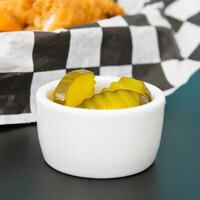 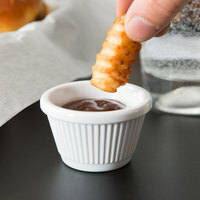 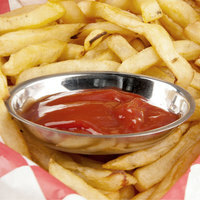 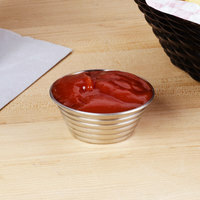 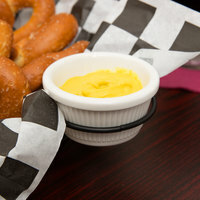 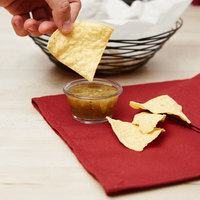 Offer your customer’s favorite condiments such as ketchup, mustard, mayonnaise, barbecue sauce, and more in small ramekins when they order French fries, cheeseburgers, and sandwiches. 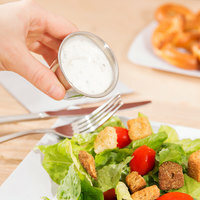 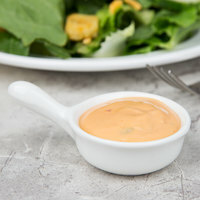 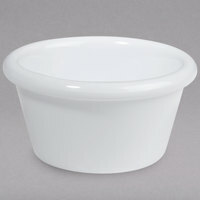 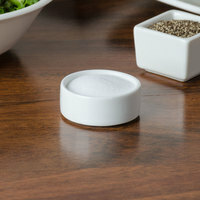 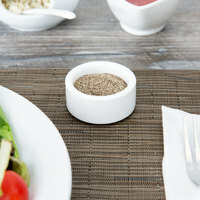 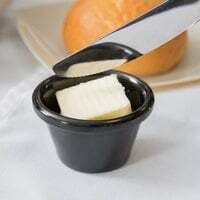 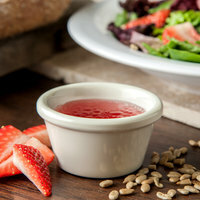 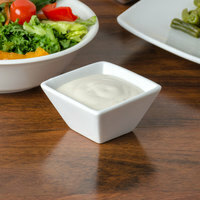 When serving salads with dressing on the side, these miniature ramekins can be used to hold ranch, French, or Italian dressings. 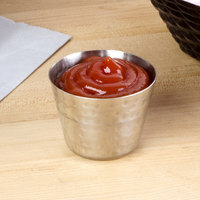 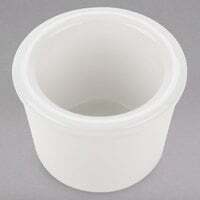 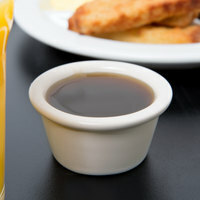 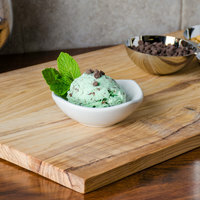 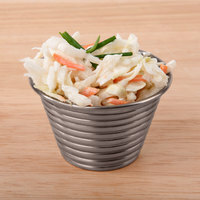 Choose from mini ramekins made of china, cast aluminum, stainless steel, glass, or plastic to find the exact type of cup you need. 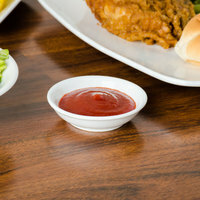 For casual service, try our metal or plastic options. 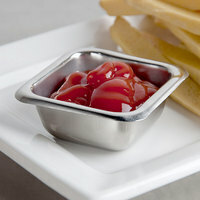 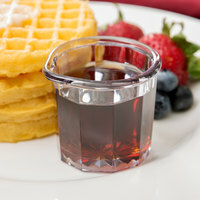 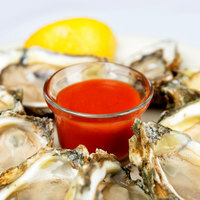 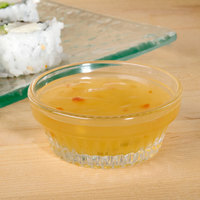 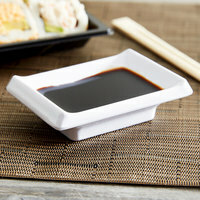 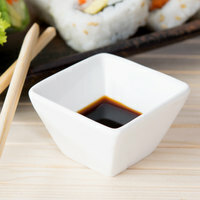 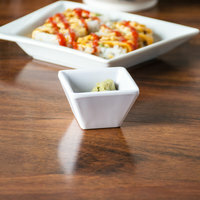 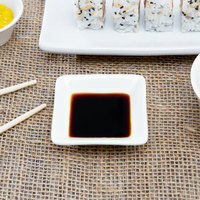 Glass and china ramekins are suitable for all types of service and look sophisticated on your tabletops. 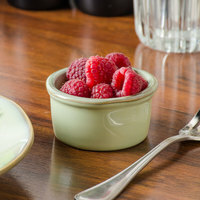 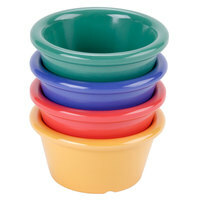 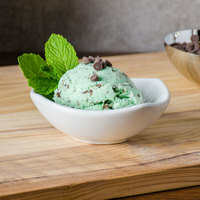 You can even find miniature ramekins in different colors, so you can mix and match hues to create a theme.